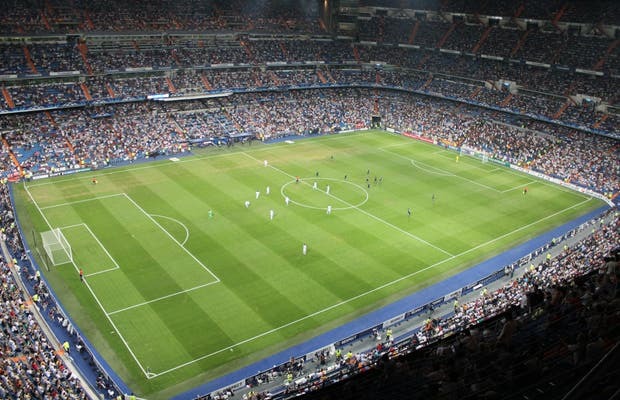 Let me tell you about my experience taking a tour of the Santiago Bernabéu Stadium. It is, without a doubt, one of the best stadiums in the world. The views from the highest seats, as you can see in the photos, are excellent. The tour begins exactly there, above everything, where you can take some panoramic photos before heading down to the museum. There, you get audioguides that explain the history of the Real Madrid team from its founding to the present day. You can see the original shirts, the membership cards of celebrities, and an interminable collection of trophies. Among these, of course, you’ll find the Champions League trophies, which have a special multimedia presentation. There are icons football supporters cannot resist, and the stadium of each team is sacred to its supporters. So that for a "madridista" (Real Madrid supporter), seeing the inside of the Santiago Bernabéu is something you have to do at least once in your life; or this is what the hundreds of people who queued that day might have thought. More than an hour and a half, in the rain and the cold, in order to... be able to sit where those millionaire stars do, see the jacuzzi where those football players relax their muscles, being just at the level of the field, look at the empty grades and imagine how it would be with the clamor of the supporters. The Santiago Bernabéu is situated right on the Paseo de la Castellana, in Azca, in the Chamartín District, which is why it used to be called Chamartín Stadium. It was inaugurated 60 years ago approximately and it is now considered elite stadium by the UEFA, housing all types of competitions related to the world of football. It has four circular towers located in the corners used to connect the different interior areas the best way possible. Also, in one of the wings, you can find an official store of the Real Madrid, if you are interested in buying something of your idols or to give a present to a loved one. It has a capacity of more than 80,000 people, which makes it one of biggest stadiums in the world. It is not entirely covered but, with Florentino Pérez as a President, they plan to a put a retractable roof that would entirely cover the stadium. : Ok, so we’re Real Madrid fanatics, so for us, this was mind-blowing. It’s a MUST for any football or sports history fan. It’s an absolute temple to Real Madrid. The tour is worth taking in order to see the museum and trophy collection, take a walk on the field, enter the locker room, and, of course, takes millions of photos. And, although it goes without saying, actually going to a game is even better. We had the opportunity to go to a Champions League match and it was incredible. The atmosphere couldn’t be better, although tickets were quite pricey. If you get the chance, we´d suggest getting seats on the “first floor”, not the ground level, but the one just above it.